Vested interests… or your best interests? At TRS [Tenant Representation Services] we represent you the tenant. We provide independent expert advice to save you more. We tailor our strategies to suit each client’s needs to offer services across commercial leasing, renewals, fitouts and make goods. Our independence ensures that you get unbiased and unrestricted advice no matter what your commercial needs are. 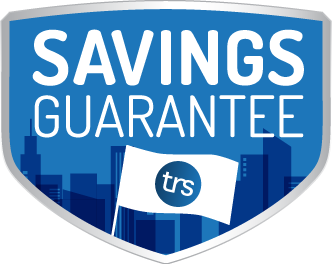 You save more with TRS. We negotiate the highest possible savings in your commercial property lease. For 17 years we’ve been the tenant rep for over 600 companies, managed over 130 lease transactions each year in Australia and New Zealand. TRS are experts in Stay versus Go negotiations, from securing your commercial property to managing your fitout if required. While we outperform our competitors, it’s our clients and their repeat business that ensures the continued success of TRS. As independent experts TRS can negotiate harder so you save more. We’ll ensure your rights, needs and interests are properly represented throughout the entire term of your lease – no inflated prices, no middlemen, no conflicts of interest. You’ll save in so many ways. Relish the certainty of the only truly independent tenant representatives fighting for your rights. Save on the hidden costs of commercial property leasing with all the information you need and an expert negotiating for you. With TRS you invest in a better savings return. Guaranteed.